As I raised my glass for a sip, the effervescence of the bubbly tickled my nose, just as I imagined it would have done to monk Dom Perignon had he discovered that his blended grapes made such a fuss. "Come quickly, I am drinking the stars," - quote from a print advertisement in the late 19th century. As I raised my glass for a sip, the effervescence of the bubbly tickled my nose, just as I imagined it would have done to monk Dom Perignon had he discovered that his blended grapes made such a fuss. Even though this revered beverage became popular a full century after his death, the rumor that he created Champagne is just one of the legends that make up this region's rich history. Thanks to its terroir, which represents its climate, its chalky soil, and hilly lands, the Champagne region of France has made quite a name for itself. It is associated with haute bourgeoisie, romance, and celebration. 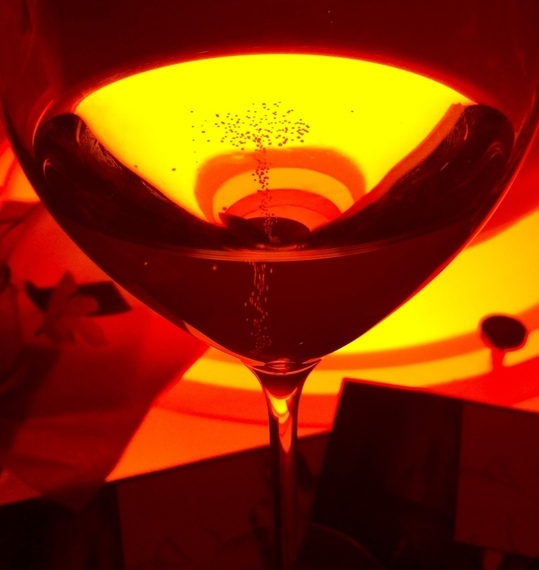 There clearly is no wine more evocative than Champagne, the king of sparking wine. By law, no one outside of this region is allowed to call sparkling wine Champagne. Spain may have its Cava, Italy its Spumante, and California its sparkling wine, but Champagne only comes from Champagne, France. And there's no getting away with trying to cheat the system! Scientists today can prove the clear existence of a unique biogeographical fingerprint based on the types and amounts of fungi and bacteria present in a grape (or crushed grape, in this case). These may be the only Champagne houses in the world, but there are more than 100 of them in this region. They are a must-see for any luxury traveler visiting Paris. A mere 29 minute train ride on the TGV from the Charles de Gaulle airport will put you smack dab in the middle of Champagne faster than your taxi would get you to your hotel in Paris! The two main towns for Champagne production in the region are Reims and Epernay, located respectively North and South of the Mountain of Reims. Both can rightfully lay claim to being the center of the Champagne world; the major Champagne Houses are headquartered at one or the other. Reims, considered the center of Champagne making by making aficionados, is where you should start your exploration of the Champagne Houses of France. While walking the streets, you'll soon realize that you are on top of the chalky soil and what lies beneath are cool, dark caves. 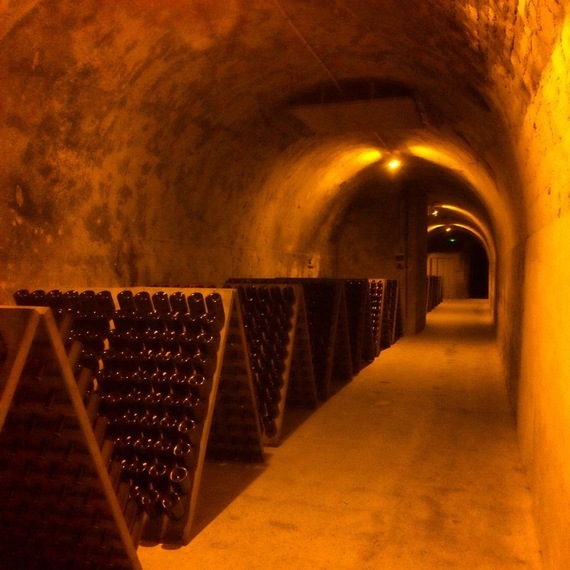 These caves are connected by miles of underground tunnel systems where millions of bottles of Champagne are being lovingly cared for just for you. 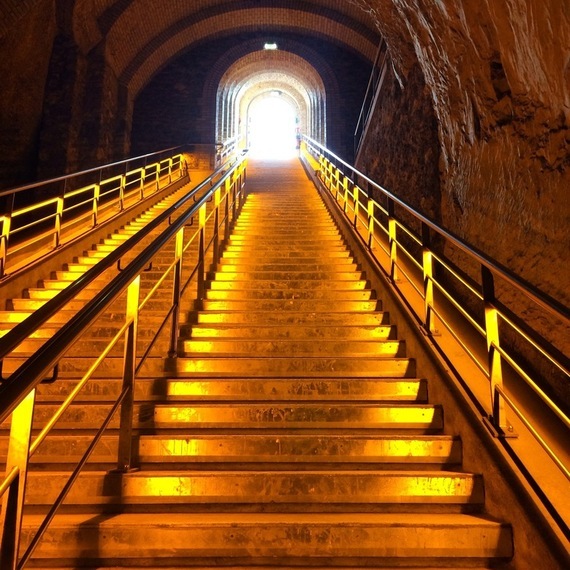 Once you have had a chance to explore the underground tunnel system, you too will be smitten with this town. While in Reims, you can visit the famed Veuve Clicquot, founded in 1772, and known as one of the most prestigious Champagne houses in the world. 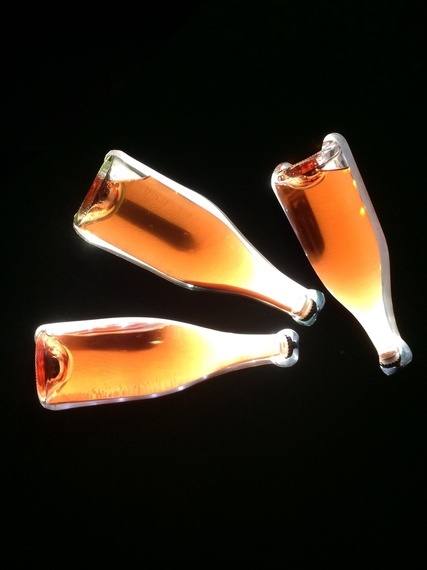 It was the first Champagne House to produce a rosé Champagne by adding in red wine. There you'll hear stories of Madame Clicquot who grew and developed this famous Champagne brand in the 1820's. This was during a time when men dominated the Champagne business, but she overcame and created an empire! One can hardly mention a trip to Reims without mentioning its majestic Cathedral, Notre Dame de Reims, which was destroyed during World War I. It has since been admirably restored. While in Reims, I had a chance to go to a grand ball at the Reims City Hall and I can certainly vouch for its beauty and opulence. From the city's carousel and the fine dark chocolates to the pink Rosés de Reims Biscuits that can be found in many of the shops, you're sure to enjoy your time in Reims. 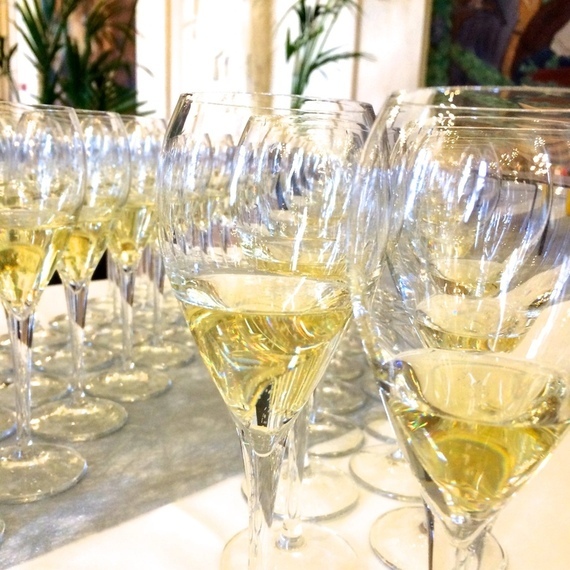 The hit parade of Champagne houses in Reims are G.H. Mumm, Taittinger, Pommery, Piper-Heidsieck, Veuve Clicquot, and Ruinart. 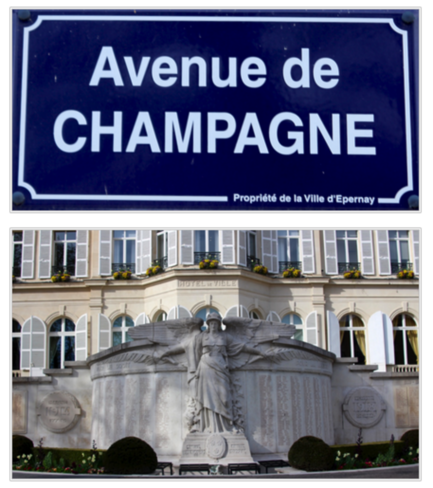 Epernay known as the "Capital of Champagne" is home to the Avenue de Champagne, which is the Rodeo Drive of big brand name bubbly. It's here that you can stroll from one Champagne house to the next. Some 20 major Champagne houses line the avenue and belong to the Union de Maisons de Champagne. The locals drink, breathe, and live Champagne on a daily basis. And although there is less historic distraction than in Reims, you will still find many Champagne history lessons in Epernay. The names don't get any bigger and they are all here: Moet & Chandon (The remains of the monastery where Dom Perignon spent his adult life now belongs to this Champagne House. ), Mercier, Martel, De Castellane, Boizel, Demoiselle, Pol Roger, De Venoge, and Perrier-Jouet. More than 75 percent of the bubbly that we drink comes from the big Champagne houses. However, the big names buy, rather than grow, most of their grapes. Which leads me to the jewels of the region, the Champagne villages. It is impossible to describe the hundreds of tiny villages that dot the landscape of the Champagne region in France, each of which is home to equally fine Champagne and wine producers. This is where you need to go to actually see the world's most famous vineyards, which are surprisingly lacking in the two major cities of the region. The growers in the villages make their Champagne from grapes that they grow themselves. 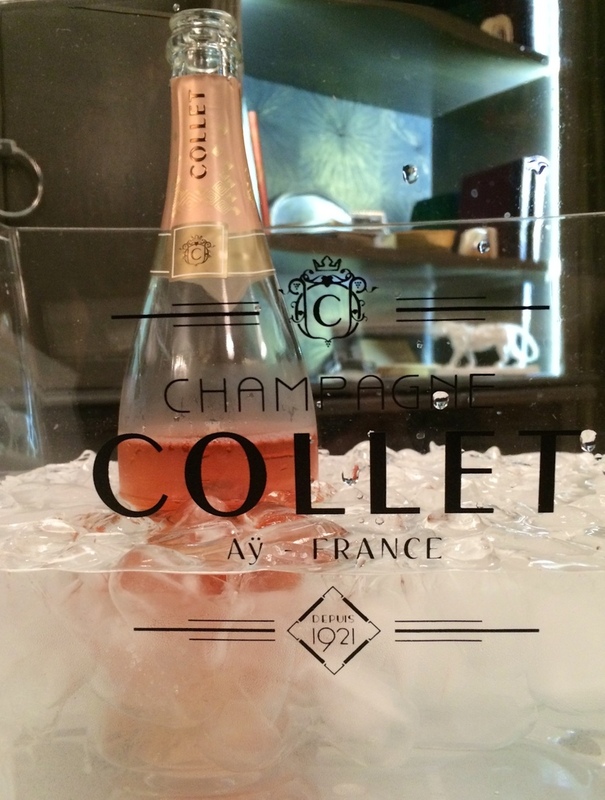 In Ay, France, Cogevi-Collet Champagne House is the oldest cooperative of Champagne houses in the region. When I arrived I was immediately entranced by the melody of a live, three-piece band playing "When the Saints Go Marching In." I felt as though I was stepping into a Great Gatsby scene during the Jazz Age of the 1920's. 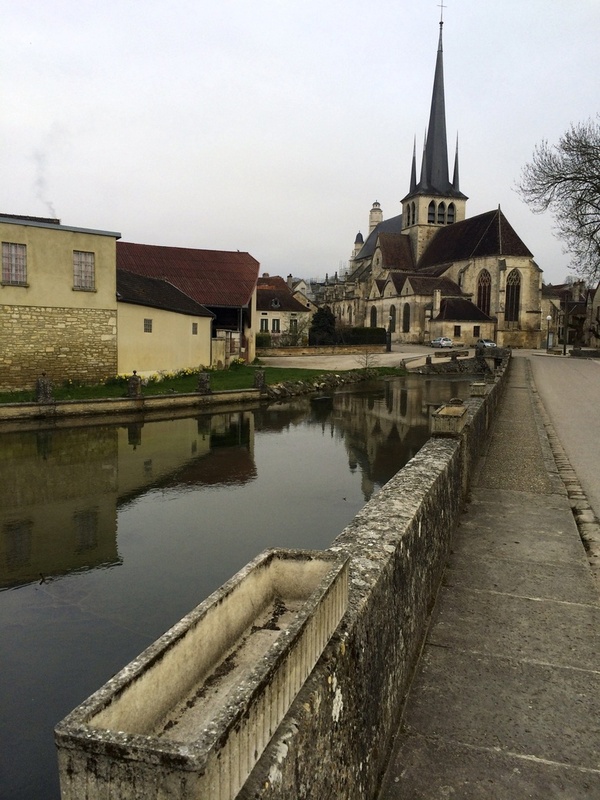 Just outside of Epernay you'll find Hautvillers, where Dom Perignon took up residence at an abbey and was later buried. Although he did not actually invent Champagne, he did perfect the grape blend and introduced the cork to the bottle, and is revered everywhere in this region. There are many local Champagneries in and around Essoyes, France. It is blessed with golden hills of Champagne vineyards, stone cottages, and a château, all dotted along the Ource River. As you wander through the countryside, consider a quick visit to the house where the great impressionist painter Pierre Auguste Renoir lived. The French Renoir moved to this quiet village, where his wife was born, to raise his family. He painted many daily scenes from his home and studio, located out back. He is buried in a cemetery not far from his studio. 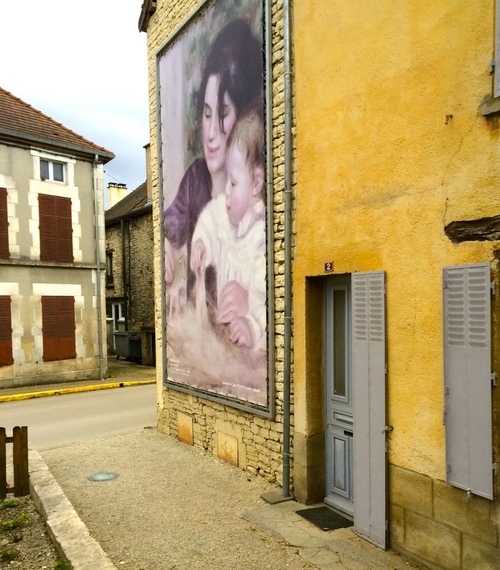 Throughout the village you'll see huge billboard-sized replicas of his paintings. This endearing town is known for its location in an important viticultural area known to produce "Rosé des Riceys" from the pinot noir grape. It also happens to be gorgeous! It is the only region in Champagne that is known to hold the appellation d'origine contrôlée (AOC), which translates in English to "controlled designation of origin." Basically it is the French certification granted to certain French geographical indications for agricultural products certified by the French government. It is based on the concept of terroir mentioned earlier. The tiny Champagne House Morize Père & Fils is located here. 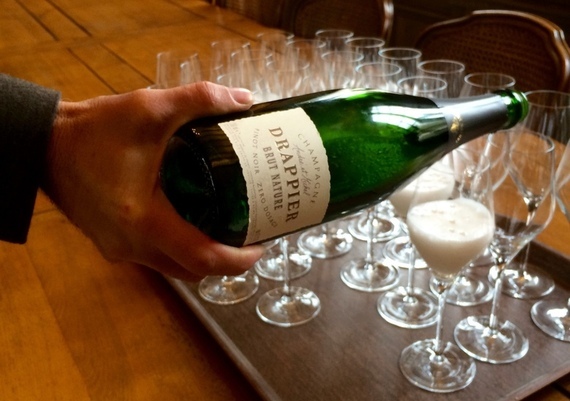 Drappier, which dates back to the 12th Century, is considered one of the finest boutique Champagne producers in the world. Monsieur Drappier owns cellars that are among the oldest and most extensive in Europe. Some of his cellars survived both world wars and the fire that swept through the area in the 1800's. When you come here you feel surrounded by the history of previous generations of wine-makers. A rich a long history at that--Saint Bernard developed this area for winemaking in 1116. Monsieur Drappier himself will most likely be here to help pour you a glass of his bubbly. In my brief time spent in the Champagne region of France, I discovered that there are a few things the locals wish you knew about Champagne and the grapes used to make it. What Type of Grapes? Chardonnay, Pinot Noir, and Pinot Meunier are the three main types used. The rosé types are either made from mixing local red wine with the Champagne prior to bottling or leaving the pinot noir juice in contact with the grape skins just long enough to turn pink. How Sweet Is It? The amount of residual sugar determines the category--ranging from demi-sec ("half-dry," actually sweet) with 33-55 grams of residual sugar per liter, to extra-brut ("very dry") at less than 6 grams of residual sugar per liter. Is it Vintage or Non-vintage? Vintage Champagne is named for a specific year that the grapes were harvested, on the premise that in that year they were of extraordinary quality and could produce Champagne by themselves without being blended with wine from previous years. This post, which previously appeared on the Findery Blog, was written by Dr. Cacinda Maloney, of PointsAndTravel on behalf of Findery. See more of her travel adventures on Findery.